Researchers from the University of Bradford found that analysis of milk teeth of children's skeletons from a 10th Century site in Northamptonshire, England, gave a more reliable indicator of the effects of diet and health than bone. The study, published today, 6 September 2018, in the American Journal of Physical Anthropology, shows that by analysing dentine from the milk teeth of the Anglo Saxon children, a picture emerges of the development of these children from the third trimester of pregnancy onwards, and is a proxy indicator of the health of the mothers. This is the first time that secure in utero data has been measured. The skeletons analysed at the University of Bradford come from a settlement at Raunds Furnells and are from a group known to have been under nourished. The effect of this under nourishment, or stress, is to limit the growth of bones. This can limit the evidence available from analysis of bones alone, such as age. Researchers were also able to look at children of different ages to see whether those who survived the first 1,000 days from conception, during which factors such as height are set, had different biomarkers for stress than those who died during this high-risk period. 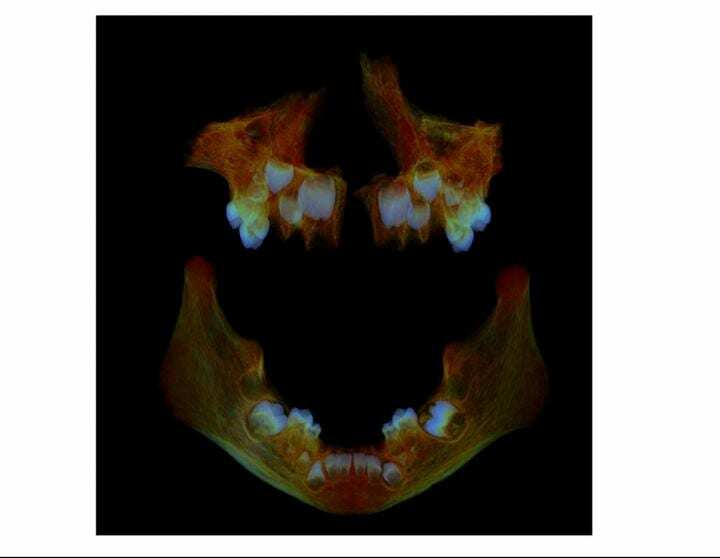 Teeth, unlike bone, continue to grow under such stress and, unlike bone, record high nitrogen values. This evidence gives a clearer picture of what is happening to the child from before birth. The teeth are, in effect, acting as an archive of diet and health of both the child and mother. Dr Julia Beaumont, of the University of Bradford's School of Archaeological and Forensic Sciences, said: "This is the first time that we have been able to measure with confidence the in utero nitrogen values of dentine. We find that when bone and teeth form at the same time, bone doesn't record high nitrogen values that occur during stress. Our hypothesis is that bone isn't growing but teeth are. So archaeology can't rely on the evidence from bones alone because bone is not forming and recording during high stress and we can't be sure, for example, of the age of a skeleton. Teeth are more reliable as they continue to grow even when a child is starving." As well as the archaeological significance of this method of analysis, Dr Beaumont believes it has a direct application to modern medicine. She said: "There is a growing consensus that factors such as low birthweight have a significant impact on our likelihood of developing conditions such as heart disease, diabetes and obesity and that the first 1,000 days from conception onwards set our 'template'. By analysing the milk teeth of modern children in the same way as the Anglo Saxon skeletons, we can measure the same values and see the risk factors they are likely to face in later life, enabling measures to be taken to mitigate such risks."